A quick post this morning, this is a simple design for this card. I layered the designer paper with some brown cardstock and mounted on a white card base. I stamped the sentiment, inked the edges of the sentiment a little then popped it up with foam tape. 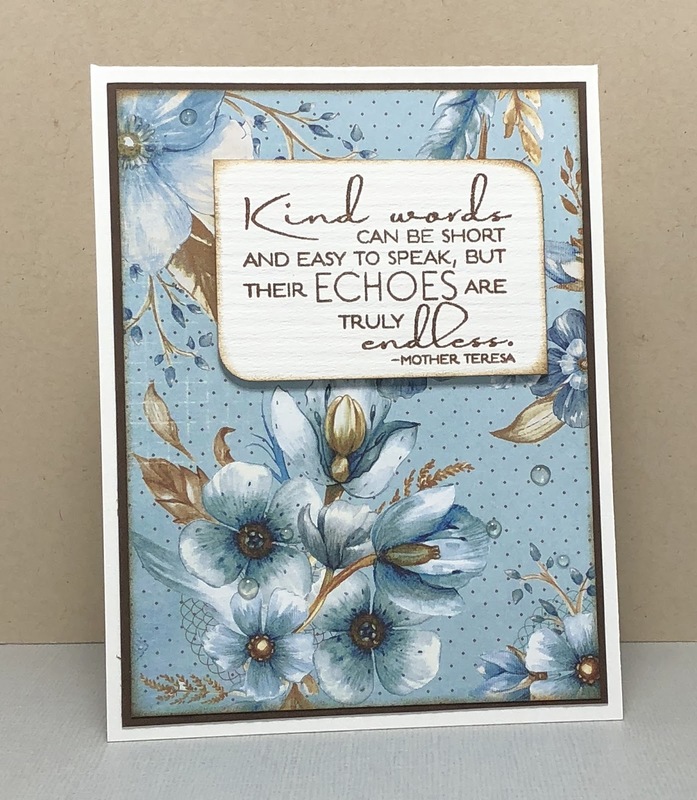 I finished the card with some grey Nuvo drops. 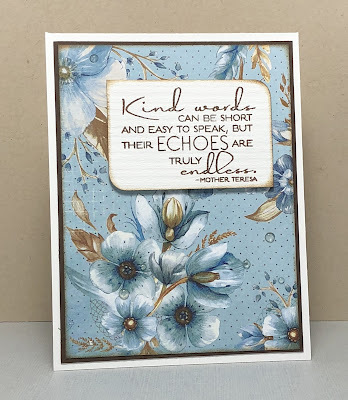 Supplies: White and brown cardstock, Designer Paper-Bo Bunny, Verve - Kind Words, Nuvo drops.